Update: Major Lazer and MØ performed their hit “Lean On” during Wednesday’s “The Tonight Show Starring Jimmy Fallon.” A video of the performance follows. 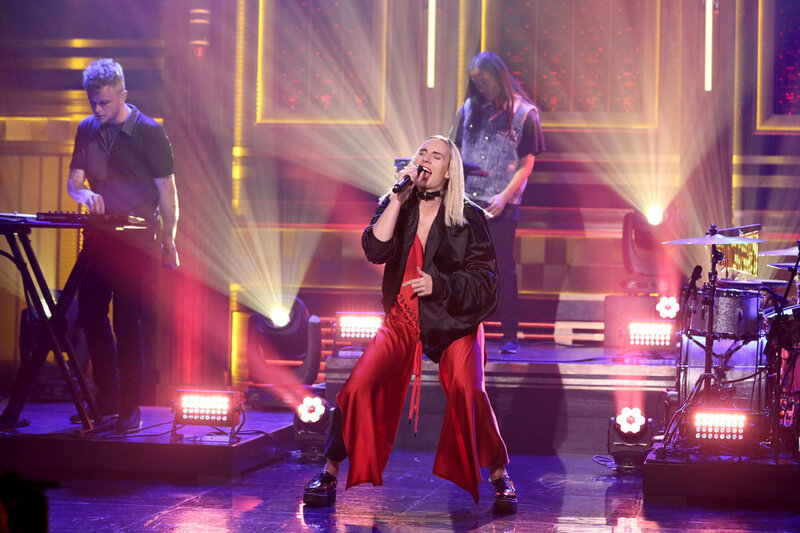 Late last year, Iggy Azalea performed “Beg for It” on “The Tonight Show Starring Jimmy Fallon.” MØ, who provides featured vocals on the recording, was not part of the televised performance. The Danish singer-songwriter joins billed guest Major Lazer to perform their red-hot collaboration “Lean On.” The track, which also credits DJ Snake as a featured artist, is a Top 20 hit on the Billboard Hot 100 and a Top 15 hit at pop radio. The “Lean On” performance follows segments with Arnold Schwarzenegger and Mike Birbiglia.